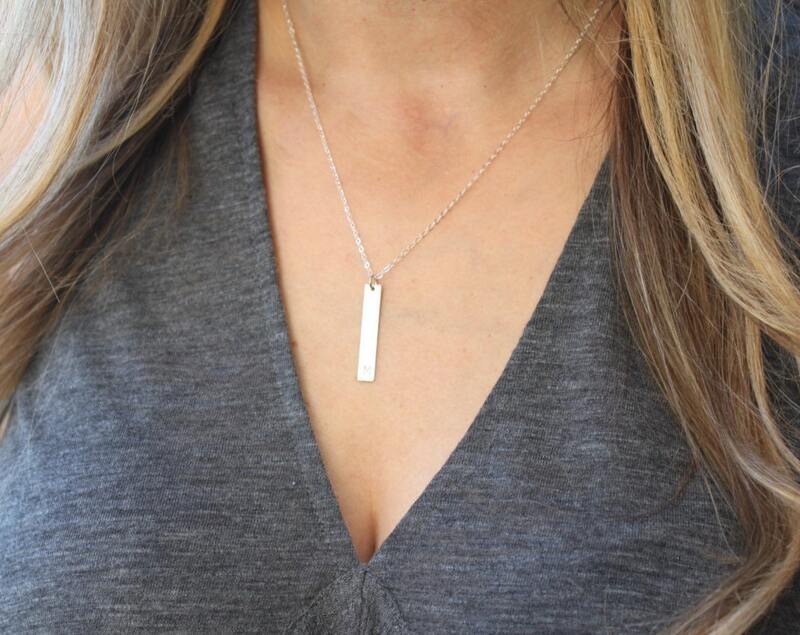 Our vertical silver bar necklace is perfect for everyday! 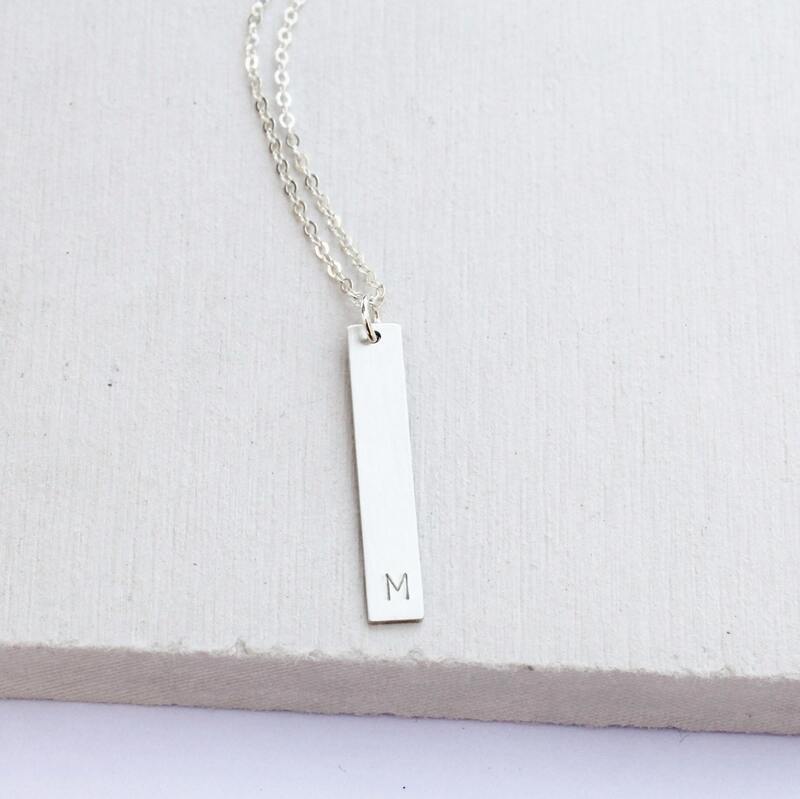 Wear it blank or personalize it just for you! 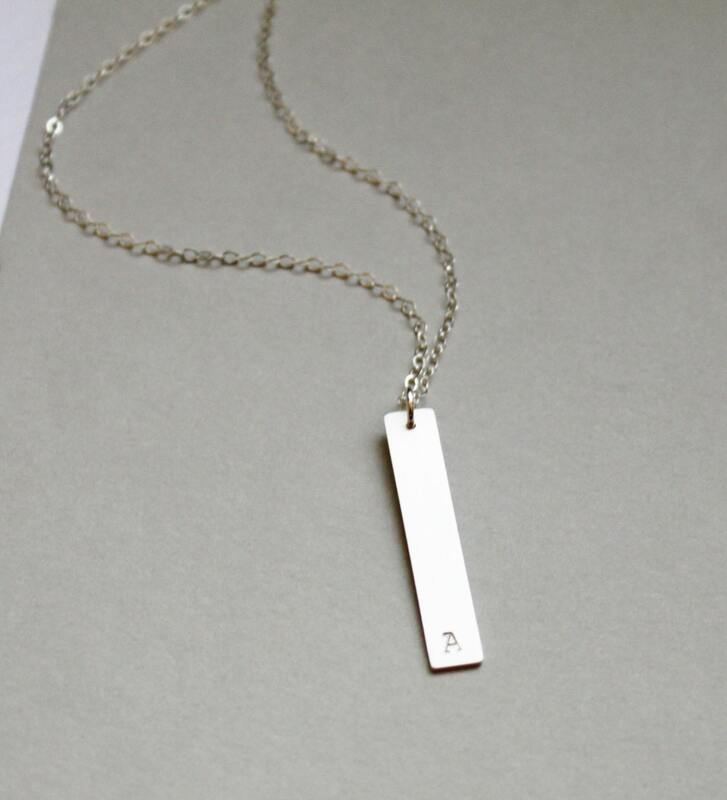 Choose 1, 2 or 3 bars for your necklace. -Personalized using the art of hand stamping, no machines here! 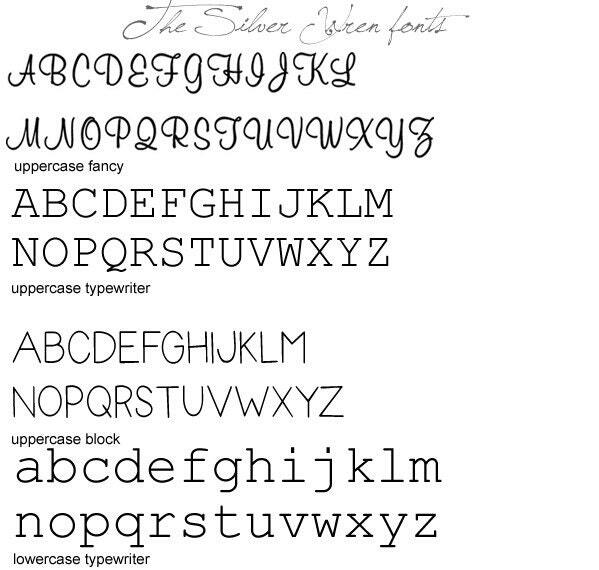 -Hand stamped in your choice of font. -This bar features one initial at the bottom of the bar for a modern, edgy look! 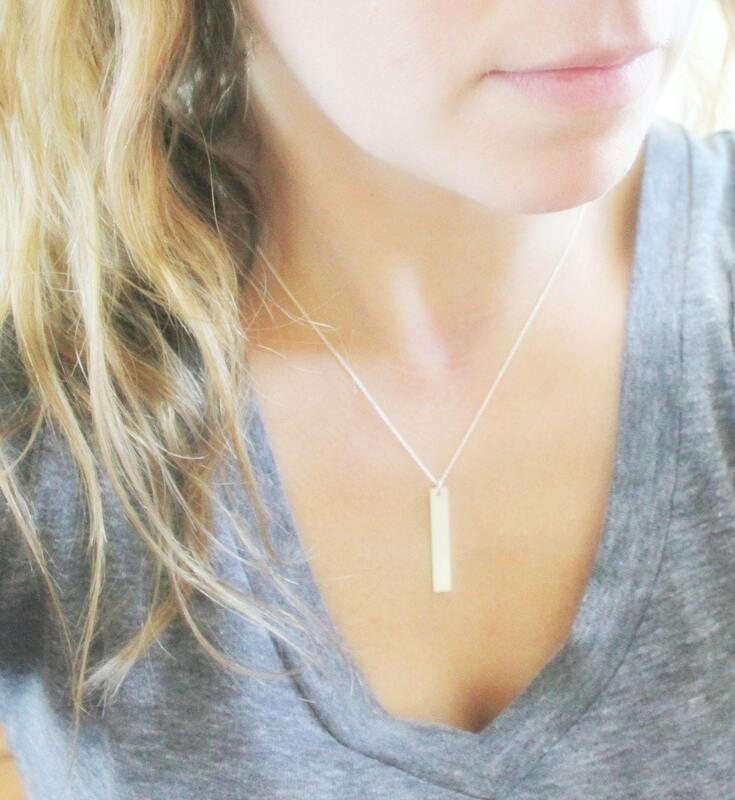 This is a beautiful necklace, simple but classy.